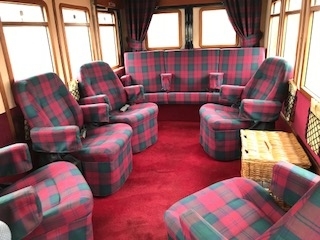 Henry luxury vintage bus. Private tours and special events. A warm welcome awaits you in Dundee Scotland. 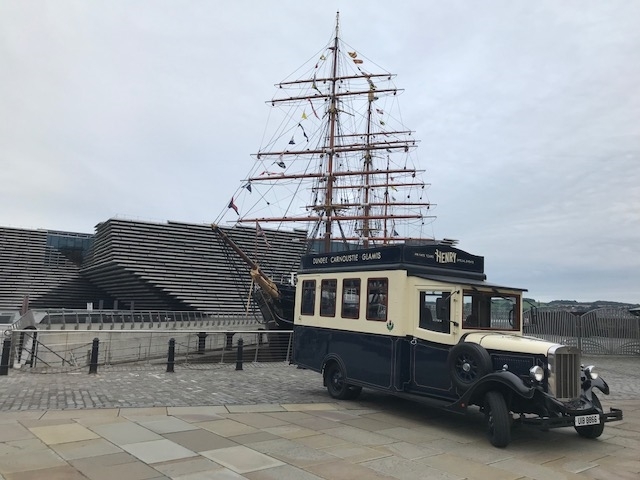 Henry would like to transport you on a journey to not only well known tourist sights but also discover some hidden gems in Dundee, St Andrews, Glamis, Broughty Ferry, St Andrews, Scone, Anstruther, Falkland, Arbroath, Kirriemuir and the Angus Glens. 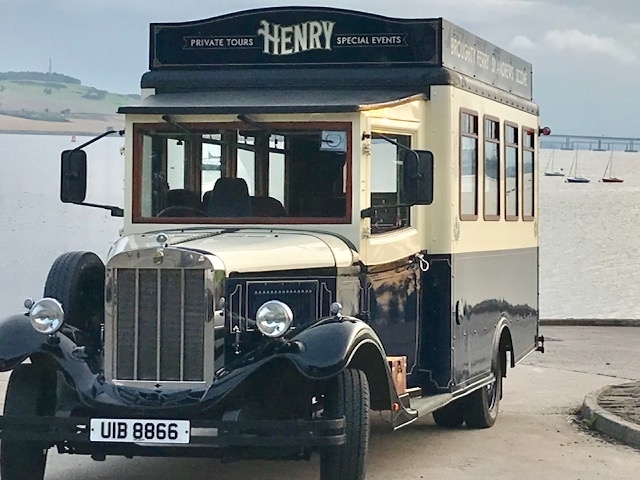 With his good looks and charm, Henry also loves to add to any special occasion by transporting his guests in style to their desired location. Whether its a birthday, engagement, wedding, anniversary, retirement, christenings, all types of celebrations; Henry can add a surprise and happy memories and photo opportunities for sharing. Henry loves romance and could be used as a lovely way to propose to that special someone at a chosen memorable location. No matter if you are wanting a tour or to celebrate a special occasion, if it is an event that is important to you then Henry will make sure to make it even more special!